CBD Oil Review rates Nature’s Script with two stars because it qualifies for the Quality & Safety Badges. Nature’s Script has an impressive operation, performing manufacturing, packaging, and shipping all in-house for purportedly outstanding quality control. They valiantly attempt to check all the boxes, and their product quality and safety levels are admittedly on point. Sustainably grown, industrial hemp and regularly published, independent testing for potency and contaminants earn our applause. However, the company is lacking a solid mission with an uber impersonal branding message and a contradictory practice involving artificial ingredients, a huge no-no for us. Nature’s Script believes that CBD will usher in “the future of natural health and overall wellness.” They source non-GMO, industrial hemp grown sustainably on eco-friendly farms and use CO2 extraction to procure the CBD isolate used in their products. We recognize Nature’s Script’s intention of transparency; they post independent lab results conducted by Desert Valley Testing for each SKU, and they explain their processes and methods in great detail. 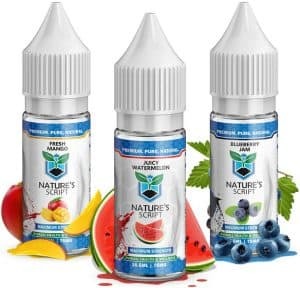 Like many current brands, Nature’s Script is aiming to cover the bases in terms of their CBD product line by featuring all the favorites: gummies, e-liquids, oil, topical gel, capsules, pet oil, and hemp syrup. The CBD gummies are their best sellers which they recommend taking regularly as a “daily vitamin”. Though they contain beneficial ingredients in addition to CBD like turmeric, these CBD gummies sport artificial flavors. They also contain a high amount of sugar, and we get that: they’re gummies. Sugar is one thing, but there are others in the game making similar products without using artificial flavors. Next up are the CBD e-liquids in three flavors that appear standard, followed by CBD tinctures featuring a blend of hemp oil, CBD, grapeseed oil, and MCT oil. For CBD topical relief, the Hemp Pain Rub is designed to provide a cold therapy experience with gel made from CBD and other natural ingredients. Then come the CBD capsules, and similar to the human oil, the pet version contains a combination of CBD, hemp oil, and MCT oil. Finally, we land on the hemp syrup which like the gummies, unfortunately, contains artificial flavoring. It is unclear whether or not artificial flavoring is used in their oils and e-liquids, but with flavors like ‘juicy watermelon’, we wouldn’t be surprised. 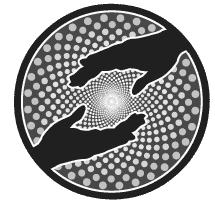 While Nature’s Script hits two of our five marks, they have an overtly impersonal feel that’s hard to swallow in a space with so many passionate and personal companies. Bottom Line – Nature’s Script provides quality CBD isolate products that are safe and responsibly sourced. They consistently update their website with independent laboratory testing but lack personality and passion. For this reason, plus their claim to offer consumers natural benefits without additives whilst using artificial ingredients, we could not award the Mission Badge. Nature’s Script uses CBD isolate in their product line that has been CO2-extracted and grown organically as non-GMO, industrial hemp. 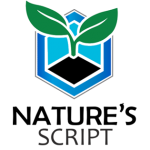 Nature’s Script posts online test results for contaminants and potency for each of their SKUs.